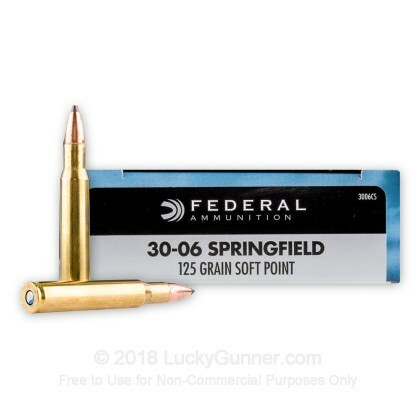 This .30-06 Springfield ammunition from Federal's Power-Shok series is a fast moving, hard hitting load suitable for use against midsize game such as deer and boar. Federal Power-Shok ammo is designed to provide hunters with a relatively inexpensive but highly effective option for bringing down their game of choice. Each cartridge in this box of 20 fires a 125 grain soft point bullet at a muzzle velocity of 3,140 feet per second. 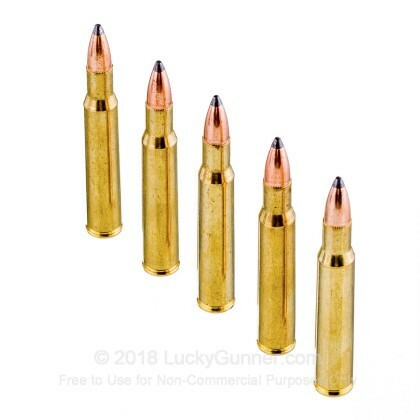 Compared to other .30-06 Springfield ammo, this load fires a relatively light projectile at a high muzzle velocity. This results in overall better expansion but somewhat less penetration--a good combination for medium sized animals. 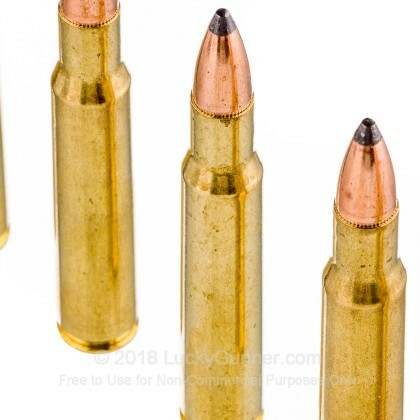 Soft point bullets are favored for hunting as they expand well for maximum lethality without fragmenting and destroying edible meat or trophies. 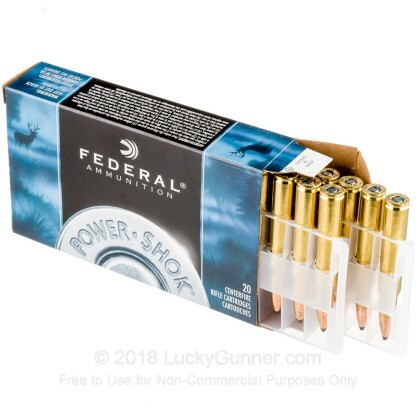 Federal Power-Shok ammunition is loaded in Anoka, Minnesota using non-corrosive Boxer primers and reloadable brass cases. 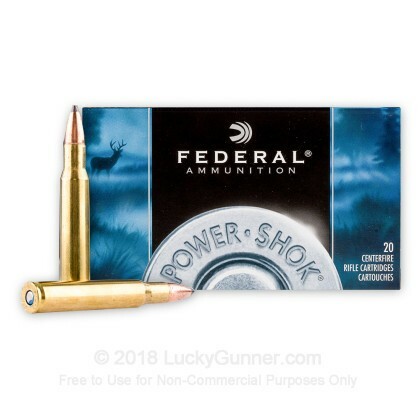 We don't have any reviews yet for this particular .30-06 ammo from Federal. 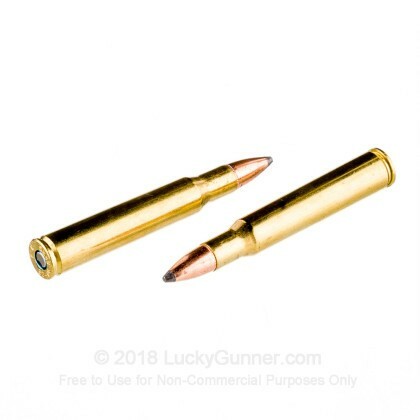 If you'd like to be the first to review this particular .30-06 ammo from Federal, fill out the form below.